A tiny announcement: There's a brand new blog + shop newsletter! The first one is heading out tomorrow! I'm excited to share exclusive freebies, discounts, sneak peeks, behind-the-scenes, and also bits of inspiration from daily life :) Sign up here to get on the list! No "I am fat" talk. Did this. I actually have a bit to say about this one--so I'm planning on sharing more in another post. Read at least one fun novel. Nope. I picked one up but couldn't get into it. Get the guest room/office ready for visitors. Done. Finally :) It was so fun having my mom as our first visitor! Read a fun novel. This season is a good season to slow down and spend some time not fussing in all the rush and stuff of Christmas-time. For me, reading is a good excuse to stop and be still for a bit. Any good recommendations? 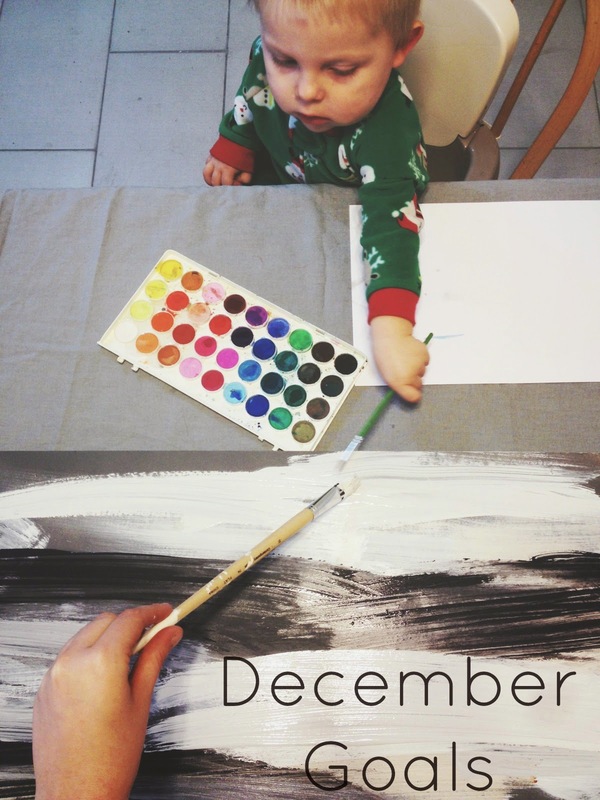 Try to do one Christmas-related family activity each week. We have a few ideas for making this season not just about presents and cookies--but about being present and making cookies ;) We want to be intentional during this time of year--which isn't always easy! Invite people over. It could be a Sunday lunch or playdate--I'm not sure. But, I want to be more intentional in this area as well--so, I think I need to make it a priority. LOVE that you did a "no fat talk" with yourself! I can't wait to read your thoughts - it is so powerful. I faciliatated a girls group for several years and one of the activities (and challenges) that we kept while we met once a week was no disparaging talk at all - and when someone did insult themselves they had to come up with five positives for themselves to make up for it. It really helps retrain your brain.